Not sure what to post on Instagram and what the best photos ideas for Instagram are? Well, rest easy because I’m here to help. 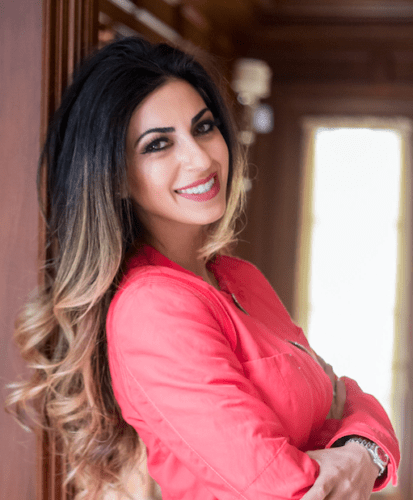 My name is Dr. Desiree Yazdan and I am a cosmetic dentist in Newport Beach and I have built my business using social media. If you want social advice that can help you grow your business, subscribe to my channel and hit the bell to be notified when I post a new video. By the time you are done with this video, you will understand what the best photos ideas for Instagram are, especially if you are healthcare professional. I know that these types of photos will work because these are the same types of photos that I use that worked to turn my own followers into patients. I want to help you do the same. The first thing that I want you to do is to make sure that no matter what type of photo you’re using that it is a good quality photo. It doesn’t have to be a professional phot that was taken and edited by a photographer. It just needs to be a good photo. Not a blurry photo. Not a dark photo. You need to try to have a phot that was taken in good lighting. Remember, on visual platforms like Instagram, your photo starts the conversation. It should get people to stop scrolling, so make sure that you use a high quality image that has good lighting. Now if you are a healthcare professional, you’re going to have so many types of photos that you can use to tell people about who you are, where you’re located, what you do, and what you can provide for somebody. Let’s get started. Let’s break it down to the three examples of photos that can help you promote your practice on Instagram or actually any social media platform. The first type of photo is going to be a behind the scenes type of photo. Your patients love to see what your business looks like on the inside. If you just got a shipment of materials in or tools in, you can take a photo of the box and tell your audience why you order the materials you do and what benefits they provide for you and the patient or you could write about how excited you are to receive your new supplies and talk about some of your upcoming procedures you’re going to use them in. If you haven’t ordered materials recently, no problem. You could take photos with your staff. People will be able to see who’s in your office and if they are already a patient seeing a familiar face, it will be intriguing to them and they will want to see what that person is up to. Now, the next type of photo is going to be photos of your actual procedures. Now, this could be a photo of you actually doing the procedure or it could be a procedure highlight, like a before and after type photo with results of the procedure. This will basically show your ideal patient what you are capable of providing for them. Now, I want you to take a moment and comment with the word photo below if you are liking these tips. Now, the third type of photo that we are going to go over is going to be personal photos. It’s great to showcase your office and your work, but people really want to know who you are and who they are going to be working with, so showcasing yourself in some of your photos is a really, really good idea. There you have it. Now, you have three types of best photos ideas for Instagram that you know will drive engagement and help you get patients inside of your office. It will help people get excited about your page. These are some of the best photos for Instagram if you are a healthcare professional and you’re trying to showcase your business through Instagram. If you are looking to stay consistent with your social media marketing, I’ve created an Instagram Guide for Healthcare Professionals that you could download here. It’s basically 30 captions that you can copy and paste if you’re tired or you can use the captions as templates or inspiration to help you create your own caption. Basically, it will save you a whole lot of time and effort. In addition to that, I am giving you a daily marketing strategy for Instagram, so you’ll want to click this link?and make sure that you download that free guide. Finally, if you like this video, please let me know by liking it below and make sure to subscribe to my channel. Also, make sure you share this video with your fellow healthcare professionals and comment below with helpful, if this video has helped you.